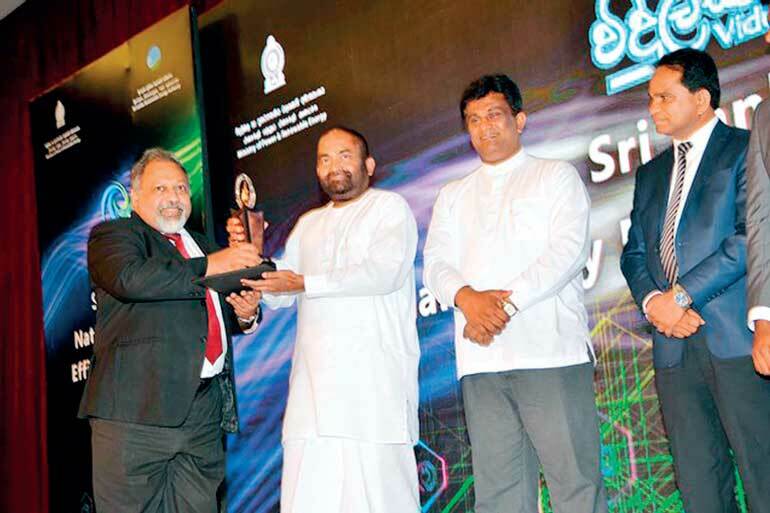 Sustainable premier five-star city hotel Cinnamon Grand was accoladed at the prestigious Sri Lanka National Energy Efficiency Award (SLEENA) with a bronze award in the Hotel sector – Large Scale category. Held on 24 November at the BMICH, Cinnamon Grand was the only hotel to receive an award in this category this year. The award was received by Cinnamon Grand Chief Engineer Panduka Wijeyawardena on behalf of the hotel’s engineering team. Sri Lanka National Energy Efficiency Awards (SLEENA) ceremony is the annual event conducted by Sustainable Energy Authority (SEA) in collaboration with Ministry of Power and Renewable Energy to recognise the achievements of public and private sector institutions in energy efficiency improvement and conservation. Under different categories, organisations are acknowledged based on successful implementation of energy efficiency improvement projects and the introduction of energy management systems in their respective establishments.